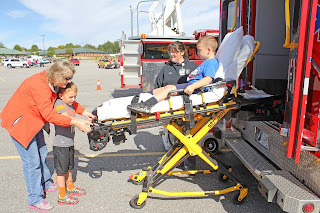 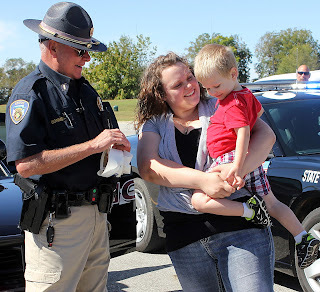 While Cindy Clark with Grove EMS watches, Jakob Duerr, 6, and his grandmother, Luwane Sales, Grove, raise the stretcher containing Duerr's cousin, Bailer Cantrell, during the Grove Library's Touch a Truck, held Saturday, Oct. 3, at Wolf Creek Park. 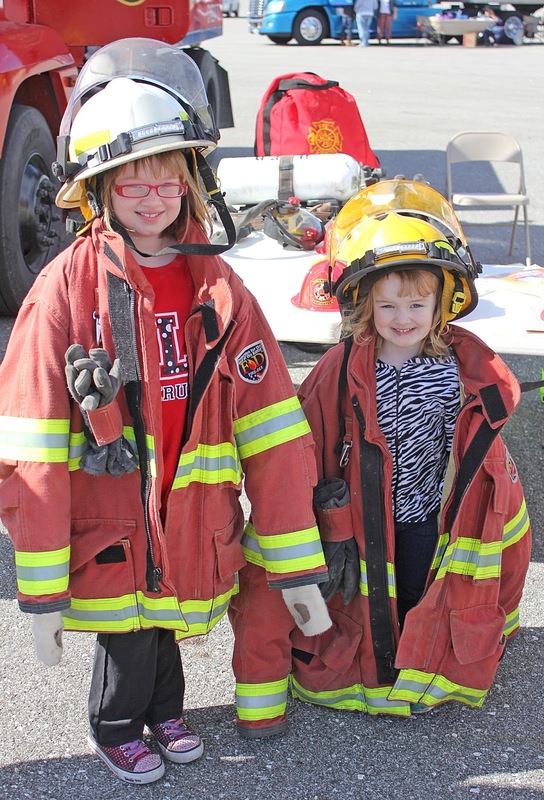 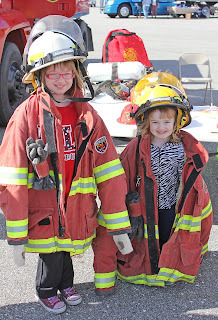 Brooklynn Anderson and Cialee Hull check out the fire gear at the Hickory Grove Fire Department station. 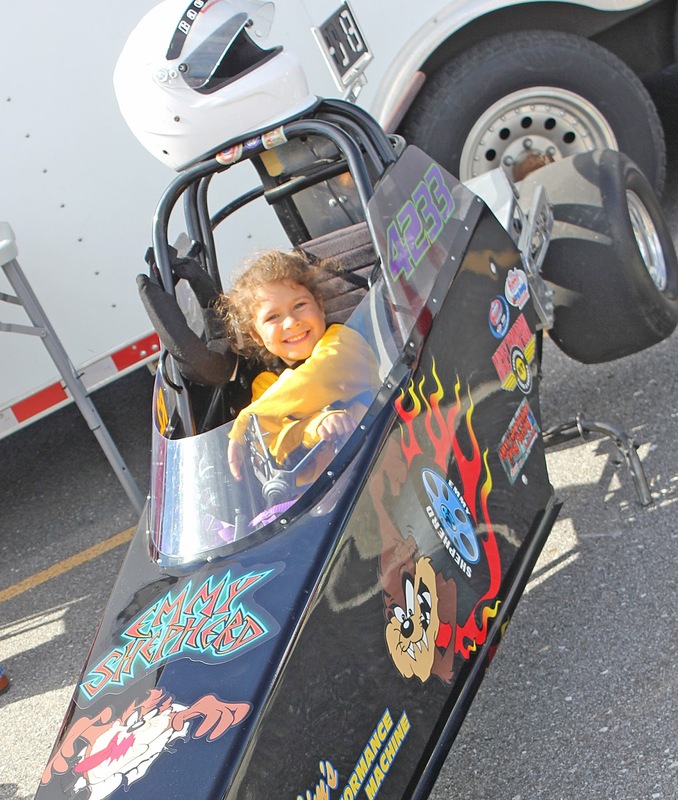 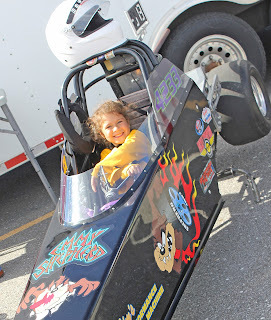 Jada Milligan, 4, Grove checks out a race car owned by Shepherd's Racing Team. 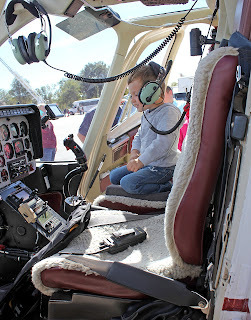 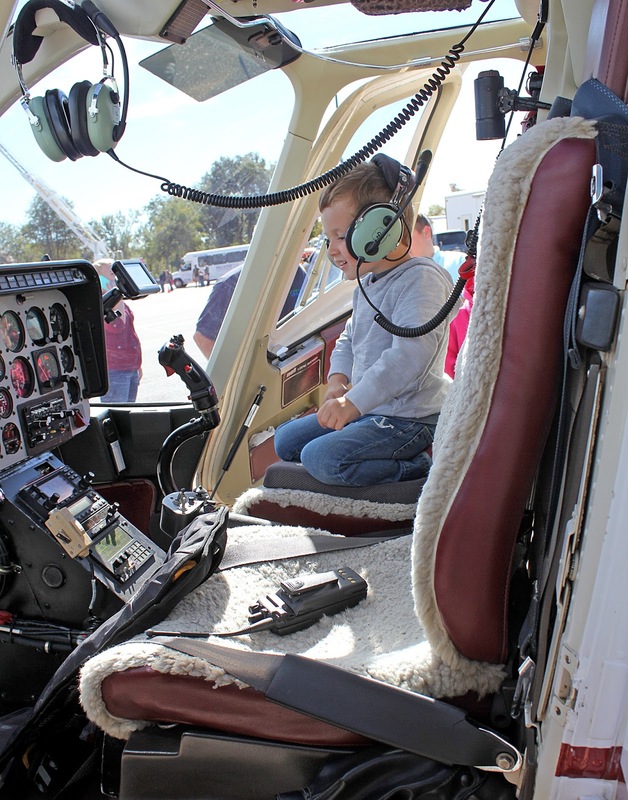 Grayson Sowers, 4, checks out the interior of the Grand River Dam Authority helicopter. 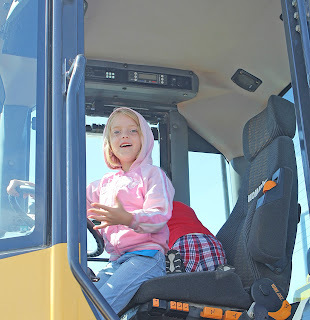 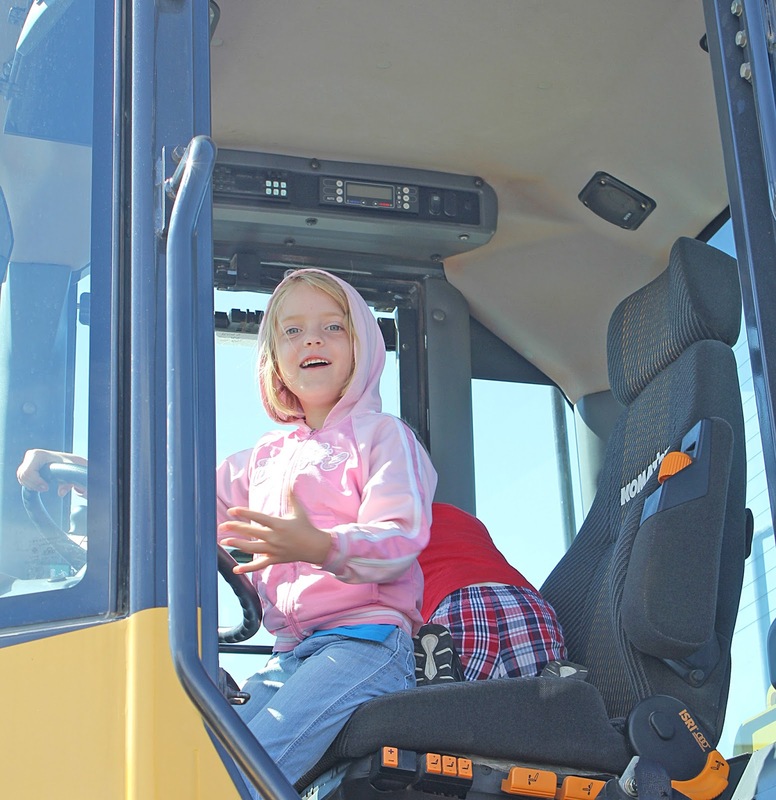 Nevaeh Priesendorf, 5, of Vinita, checks out the view from a Longan Construction vehicle. 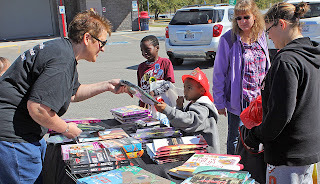 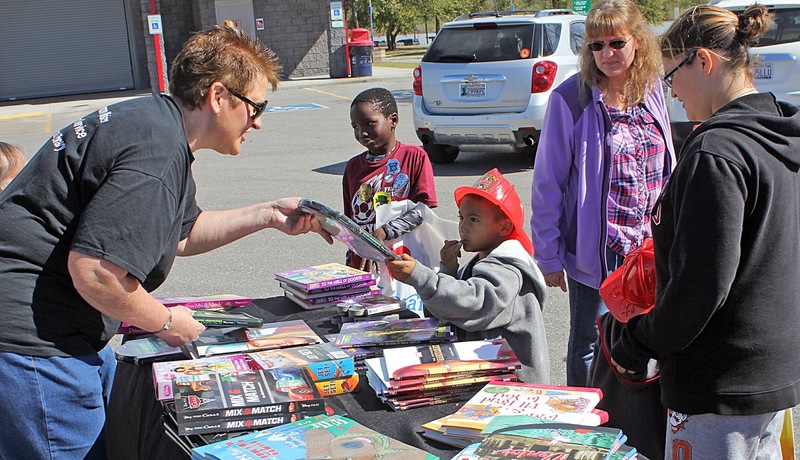 Mary Moroney, executive director for the Eastern Oklahoma District Library System, hands Samuel Perez, 6, Grove a book during the 2015 Touch a Truck event at Wolf Creek Park. 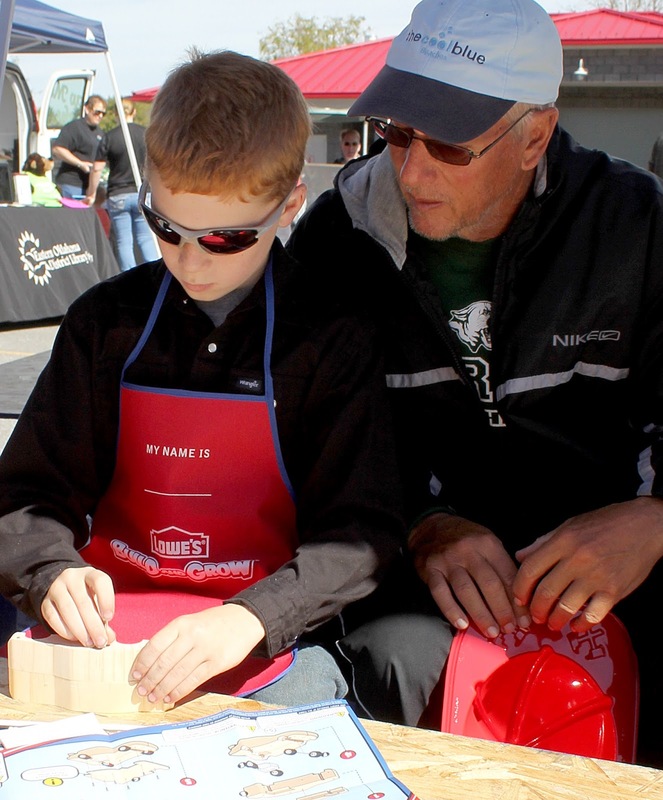 Lane Stewart, 10, gets a hand from his grandpa, Mike Stewart, as he works to put together a race car kit from Lowe's. 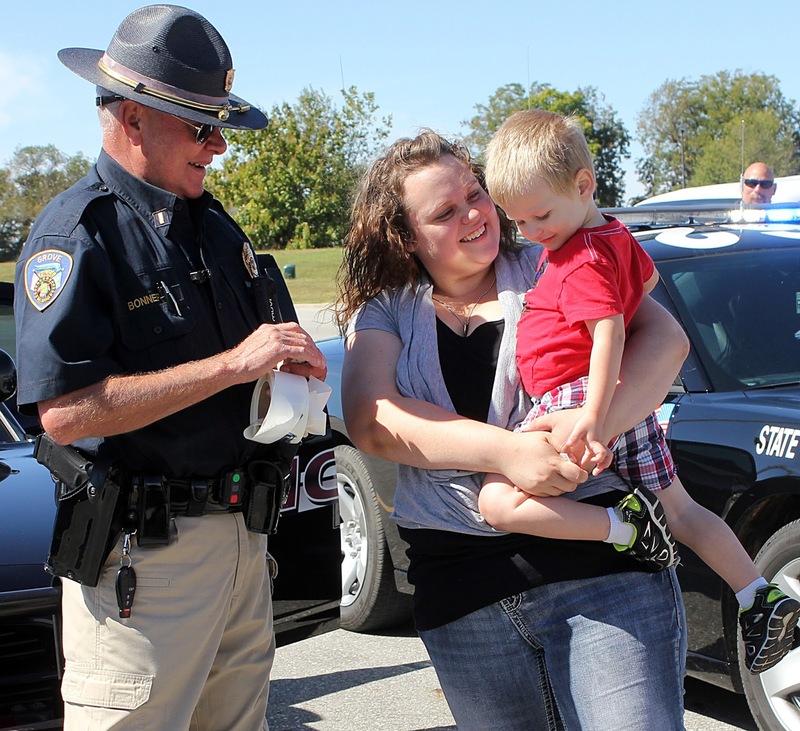 Safe in his mom's (Joy Barnard) arms, Charlie Barnard, 2, of Vinita checks out a sticker given to him by Grove Police Department Reserve Officer Bill Bonner.